Broadway and Nat'l Tours- Parade, Cyrano The Musical, Les Miz (three companies), Sunset Blvd, Broadway-The Big Band Years. Off-Broadway-SOUTHERN COMFORT, CACTUS FLOWER, THE BUTTER AND EGG MAN, THE PIPER, TIM AND SCROOGE, A DOLL'S LIFE, MATA HARI, THE WIZARD OF OZ ( Avery Fisher Hall). Regional Theater- Barrington Stage, Williamstown, The Eugene O'Neil, Goodspeed, Hartford Stage, Pennsylvania Center Stage, others. Film - BEAUTIFUL CREATURES,FREEDOM WRITERS,LIVING OUT LOUD,THE DRUMMER, THE HEARTBREAKER,SPLIT ENDS. T.V.- THE TONY AWARDS, THE DIVIDE, THE WIRE, THIRD WATCH, THE WIZARD OF OZ,The National Anthem at Wrigley Field, IN LIVING COLOR. Robin's song WITH YOU, co-written with Randy Redd, can be heard in the new animated, 3D movie POSTMAN PAT. Robin's album HOUSE OF LOVE is available on iTunes and Amazon.com. 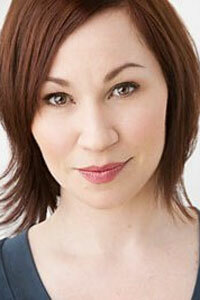 Lisa Birnbaum is thrilled to return to NYMF with 210 Amlent Avenue! Off Broadway: F#%king Up Everything, Abraham Lincoln’s Big Gay Dance Party, I’m Getting My Act Together..., Man of Rock, Lizzie Borden, Regional: Lysistrata (CRT), Midsummer Nights Dream (Playmakers Rep), Taming of the Shrew (Shakespeare Theatre of D.C.), A Cry of the Reed (Huntington), Italian American Reconciliation (Longwharf), Alls Well That Ends Well (Yale Rep), Romeo and Juliet and Anything Goes (Williamstown Theatre Festival), The Moscows of Nantucket (Theatre Workshop of Nantucket), TV/Film: Law & Order, Guiding Light, Deception, What Would You Do. Education: MFA in Acting, Yale School of Drama. Tx to Vanguard, fam, 210 fam and Allegra! Find out more at Lisabirnbaum.com! 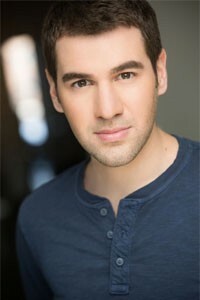 Steven Hauck has appeared on Broadway in "The Velocity of Autumn" and "Irena's Vow." Off-Broadway credits include "One Arm" (Moises Kaufman/New Group), "The Screwtape Letters" (Westside Theater), the Young Playwrights Festival (Cherry Lane), "Crossing Swords" (Outstanding Performance Award/NYMF) and "King Lear" with Paul Sorvino. Regional favorites are Sherlock Holmes in The Adventure of the Suicide Club (Cincinnati Playhouse), Louis deRougemont in Shipwrecked! (Penguin Rep), Juror #8 in Twelve Angry Men (Engeman Theater), Marc in Art (Geva Theater), and de Guiche in Cyrano (Milwaukee Rep). Steven toured to Paris, Berlin and Vienna in Phantom of the Opera. He has featured roles in the films Oldboy and Da Sweet Blood of Jesus (both directed by Spike Lee), The Amazing Spider-Man 2, Confessions of a Shopaholic, and What Happens Next (opposite Wendie Malick). TV includes Unbreakable Kimmy Schmidt, Elementary,The Good Wife, The Americans, Boardwalk Empire, and 30 Rock. Emily is thrilled to be a part of this production of 210 Amlent Avenue! 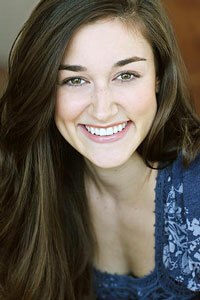 Last year Emily was an intern with NYMF and now she works freelance in directing and wardrobe. Previous NYC credits include: Feline High Rise Syndrome (Take Ten Play Festival), The Field (Frigid Festival), The Underclassman (Prospect Theater Company), Snow White Zombie (Estrogenius Festival). Emily would like to thank the NYMF staff and the cast and crew of 210 Amlent Avenue! B.A. Ithaca College. 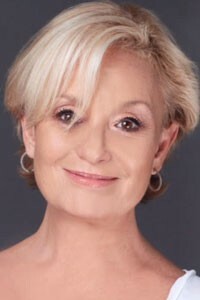 Andréa Zotos Breslin is a Long Island-based theatre and opera practitioner currently working as costume shop manager at Stony Brook University. 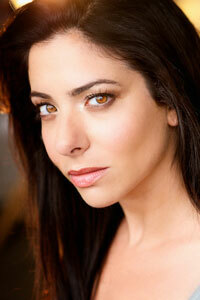 She has experience in performance, costume, set, and sound design/production, stage management, and theatre marketing. In addition to Stony Brook, she has worked with Manhattan School of Music, the Royal Shakespeare Company's Open Stages Festival, Westhampton Beach Performing Arts Center, Gateway Playhouse, NYC Fringe, and Asylum Theatre Co. She is designing and performing in A Midsummer Night's Dream, opening July 16 at Stony Brook's Staller Center, with a second immersive phase opening this Fall. For more information, please email her. Thrilled to be a part of this wonderful team! Off Broadway: Ludic Proxy (PSM), King Lear, Much Ado About Nothing, The Taming of the Shrew, Absolution National Tour: The Merchant of Venice Regional: Barrington Stage Company: An Enemy of the People (PSM), Clybourne Park (PSM), Kiss Me, Kate!, Romance in Hard Times, On The Town, Much Ado About Nothing, See How They Run, Fiddler on the Roof, The Game, Guys and Dolls, Absurd Person Singular, Art, Sweeney Todd, Moonlight: Phantom!, Cygnet: Hedwig and the Angry Inch (PSM), Lambs Players: Boomers!, LJP: 33 Variations. Proud AEA member Thanks to God, M&D, G&G, and my amazing family! Kasey Callaghan is a graduate from SUNY Suffolk County Community College holding an Associates Degree in Performance, as well as an Associates Degree in Theater Technology focusing in Stage Management. She is a 2 time Merit Award Winner from the Kennedy Center American College Theatre a Festival for stage managing The Foreigner and HAIR. This is her first NYMF production and is honored to be working on such a great experience. She would like the thank Karl and Becky for opening the doors to this festival for her, as well as Ryan and her family for their love and support! 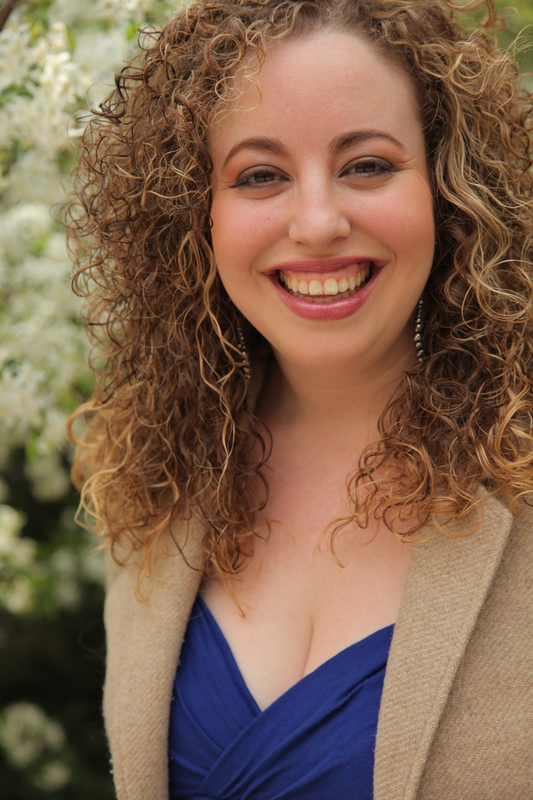 Becky is a native Long Island playwright, dramaturg, director, and teacher. She holds an MFA in Dramaturgy from Stony Brook University. She is on the faculty at both Stony Brook and Suffolk County Community College, where she recently directed Jennifer Haley’s Neighborhood 3: Requisition of Doom, and will be directing Qui Nguyen’s She Kills Monsters in the Spring. Becky’s shorter plays have been featured in several reading series, and been finalists in multiple competitions. Her other recent production experience includes production dramaturgy for James McLure’s Pvt. Wars, José Rivera's Marisol, and David Lindsay-Abaire's Rabbit Hole. 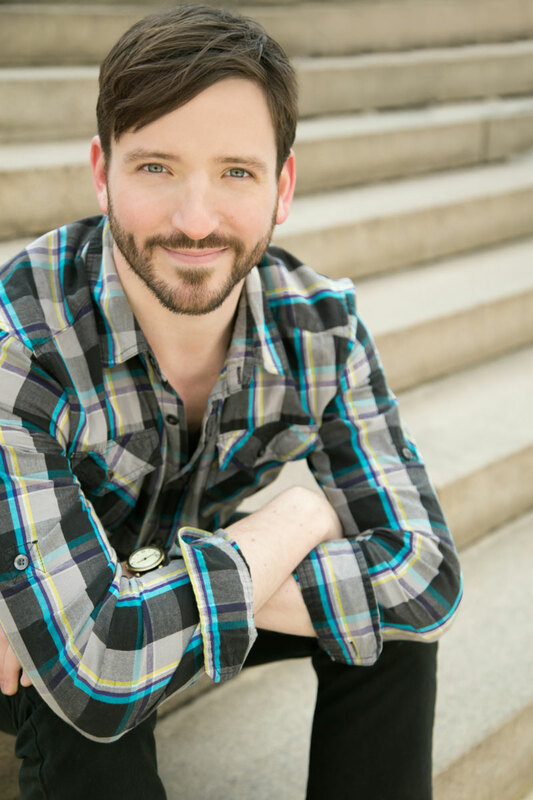 Karl Hinze is a composer of theatre and concert music in NYC. He has penned songs for productions of Brecht's A Man's A Man, Euripides' Alcestis, and Lorca's Yerma. 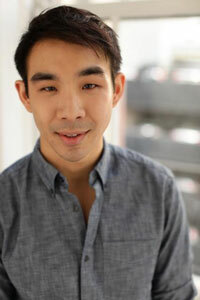 He is a member of the BMI Lehman Engel Musical Theatre Workshop. Recent collaborations include Are They Edible?, an experimental puppet show by Jeanette Yew, and Shackled Spirits, a multi-media dance drama by Lynn Kremer last seen at the 2013 Bali Arts Festival. 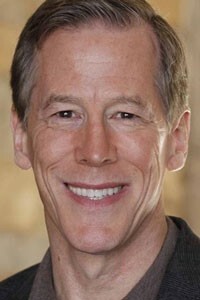 He has also directed productions of Urinetown, Yerma, and Antigone. 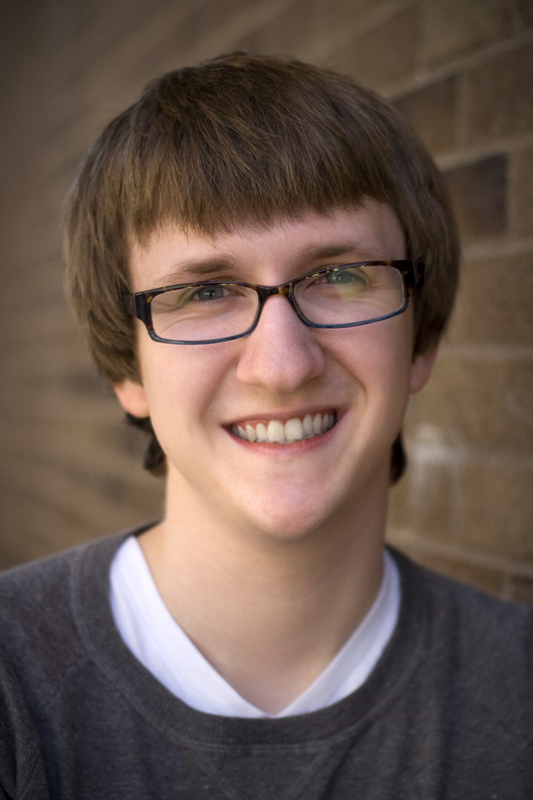 Karl is a PhD candidate in Music Composition at Stony Brook University. More about the 2014 NYMF Developmental Reading here. Enter your email address to be notified when Karl or Becky post a new "Behind the Scenes" entry. We will never spam you or give away your email address.